CT Council on Soil and Water Conservation – Protecting the land, water and other natural resources of the State in order to preserve and enhance quality of life for present and future generations. Welcome to the Connecticut Council on Soil and Water Conservation (Council)! 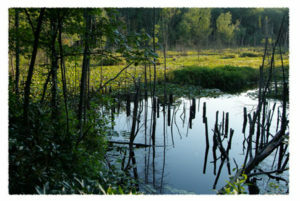 The Council is created by state statute to coordinate activities and partnering opportunities of Connecticut’s conservation districts, www.conservect.org, and other federal, state and local agencies on environmental and natural resource land use projects. The Council also is made up of at-large non-voting members representing Natural Resources Conservation Service, Farm Service Agency, Connecticut Agricultural Experiment Station, Resource Conservation & Development Council, and (as needed) municipal staff responsible for soil erosion and sedimentation control. Connecticut’s Conservation Districts were created by C.G.S. 22a-315a. Conservation Districts are locally governed, natural resource based agencies. District programs are implemented by staff at the direction of each of the five Districts’ locally elected Board of Directors. Districts were created to provide timely and unbiased, technical and educational services on local land use issues, for farmers, municipal land use decision makers and land owners.